Keeping teenagers engaged during the holidays can be a challenge, and the holiday cook can feel unappreciated and taken for granted. I’m depressed thinking about Thanksgiving. When the kids were younger, we made decorations and they were excited about the holiday. Now that our daughter is 17 and our son 15, they don’t want to do those kinds of things and are more interested in being with their friends. Our daughter is usually with her boyfriend and our son plays computer games and sports. My brother and his 24 year old daughter with her 2 yr old son are coming and my mother in law as well. My brother will watch sports with my husband and trying to entertain my mother-in-law and make sure my niece has support is nothing to look forward to. I feel like I’ll work like a dog and get nothing out of it. Do you have any advice for me? 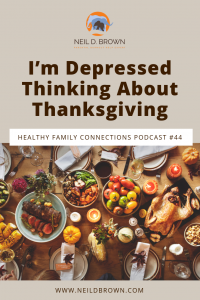 Janet, that’s a pretty depressing thought - that you’ll work your tail off making a Thanksgiving dinner and a nice day for everyone without appreciation or fun. Well that’s not okay. Let’s rethink this. Ask yourself the question “What would make this fun?” I’ll go out on a limb and say what I think might be fun. If your family were involved in the planning together, and all four of you took responsibility as a team to make it a fun day and a delicious meal, that would be entirely different. That is an important question and it tells us something; it tells us that you don’t feel empowered to lead in your family. I’m not hearing that your kids are doing badly, just that they don’t act like they belong to Team Family. That your job is to serve and support and as long as things are under control, don’t ask for anything from others. I might be overstating things, but I’m pretty sure that I’m somewhat on target. So, here’s your opportunity to switch from a model of support and serve, to empowerment and leadership. That doesn’t mean that you no longer support, or that you no longer do nice things for your husband and kids, just that you make your needs and expectations known. Janet, while this discussion is starting with your needs, it’s about more than that. It’s about your kids contributing to their family and learning and knowing that they have an obligation to others, that who they are and what they give is important and that who they are and what they give is needed. You asking for help isn’t just you getting your needs met. It’s also about your family being a healthy family, a healthy team, and a healthy social ecology. If we think of our family as a social ecology, similar to a biological ecology, like a pond, we can ask ourselves if our family “pond” is healthy or is it toxic and not vibrant with lots of oxygen and nutrients. Janet, you’re not saying your family pond is toxic, so that’s good, but it’s not as healthy as it could be and maybe needs to be. Here’s how we can infuse some oxygen and make a healthier pond. We’ll do that by using Thanksgiving as a starting point. Talk with your husband and let him know your concerns. Tell him you’re going to use Thanksgiving as a way to bring the family together and have some fun, and that you want his all-in support. Now, if he acts like he isn’t going to give you his total support, ask him where he’s planning to take the family to dinner on Thanksgiving. My guess is you won’t have to go there. Then, you and he call a meeting of the family to talk about Thanksgiving. Make it a planning meeting. What are the kids thinking about? What were their best Thanksgiving memories, what would make it fun? What are their favorite Thanksgiving foods? If you get resistance let them know that you want and need family support that you don’t want to work all day to make a meal that no one is into. Discuss decorations and flow of the day. The kids may want some time to connect with friends but let’s make sure that being with the family is the default position, not being with friends. Do some menu planning, and let everyone participate, both in the planning and in the preparation. What can be done in advance, what has to be done on Thanksgiving? What about cleaning the house, setting the table, cleaning up afterwards? What about giving Grandma some attention, what are some things she might enjoy, what are some things the kids can share with her? How about the teenagers helping their cousin out with her toddler and playing with him? How will your husband and your brother be engaged? Yes, there will be an NFL and NBA game on; are they really thinking of watching 6 hours of sports? These are all things that can be talked about and planned. What would make the day special for you? Maybe you’d like for the whole group to take a walk around the duck pond and feed the ducks like you did when the kids were young. It doesn’t matter what the particulars are, just that we do a little planning and get everyone involved in making it a successful day. Now, let’s use this as an opportunity to shift out of your old pattern of supporting and serving and become a happier, more empowered parent and partner. What are some ways that we can get better engagement from your husband and your kids? How about your son and your daughter work together and make dinner one night a week? How about family “work in the yard” time, or family garage cleaning time? What about some volunteer work in the community? It would be great if you as a family decided on the organization you are going to support. It’s important for our teenagers to know they are needed and that they make a difference, both within and outside of the family. Janet, I love to think of you and your family getting out of your rut, and becoming Team Family with an empowered leading Mom raising empowered engaged teenagers. Here is my challenge to all of us: Let’s ask ourselves the question, are we asking enough of our teenagers? I say our teenagers because as a society our teenagers belong to all of us. When we don’t let them know we need them, and we don’t require their engagement, we’re letting them down. Ask a teenager for help. Ask a neighbor, a niece or nephew, your teenager’s friend, for a hand. You’ll be doing them a favor. Thanks for tuning in today, everyone, and special thanks to you, Janet, for your most timely question. If you like Healthy Family Connections, be sure and leave us a review on iTunes! The holiday season is right around the corner. Do you know someone who might benefit from reading my book, Ending the Parent-Teen Control Battle? It’s readily available, inexpensive, and could make a big difference in their life. 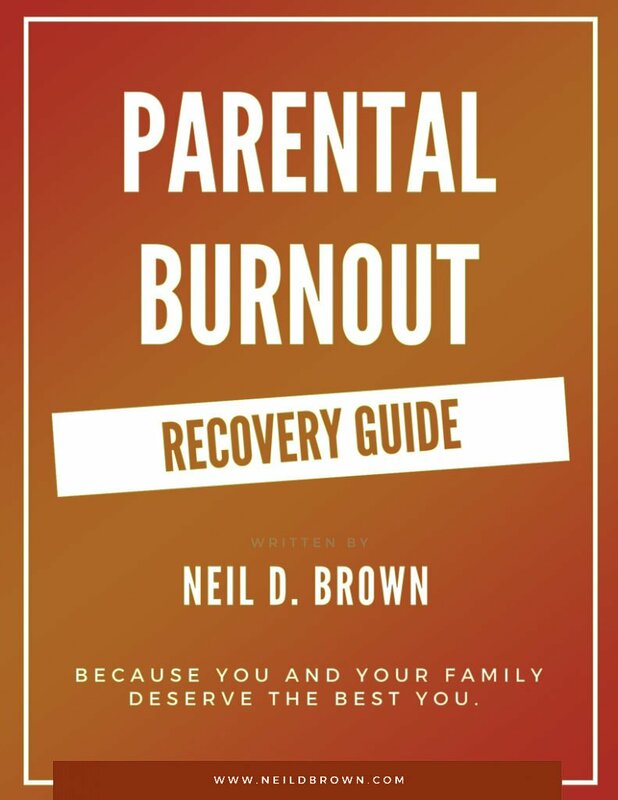 For more advice from Neil, submit your questions to www.neildbrown.com, where you can also find helpful articles, links, and resources to get your family on the right path today.